So, if you have the time today, boy oh boy is this worth it. Not to mention with its Instagram-worthy star status, you'll be the biggest hit at your picnic tomorrow! Insider tip - it's even better a-la-mode. We used McConnell's "Golden State Vanilla". Yum. 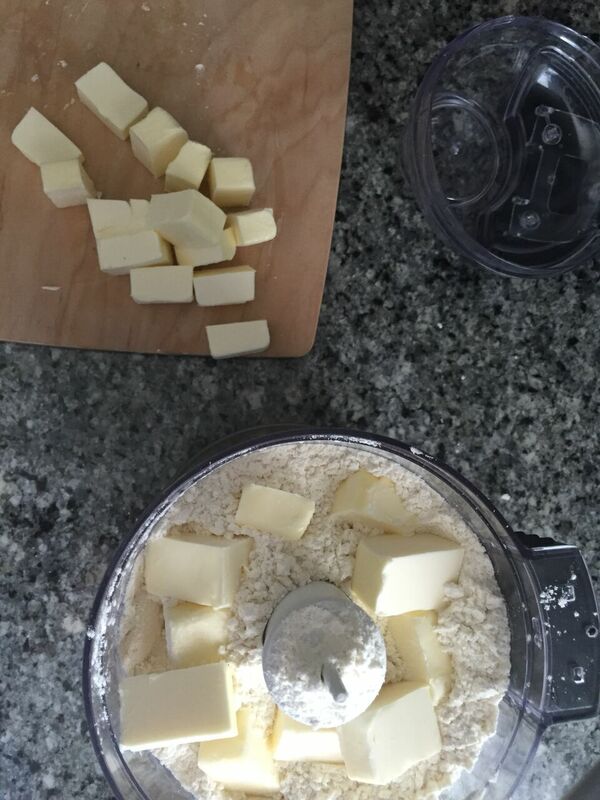 Add your dry ingredients into a food processor, followed by butter cubes and pulse until the mixture looks like crumbs. Next, slowly pour the ice water and process until the dough just starts to stick together. Remove the dough and divide in half. Flatten the dough into rounded disk shapes, wrap them in plastic, and refrigerate for an hour. Once chilled, remove one disk from the refrigerator, and place on a floured surface. Roll into a 12 inch circle, doing your best to maintain an even thickness throughout. Then transfer to a 9 inch pie pan and crimp along the edges. Cover it with plastic and refrigerate for another half hour. 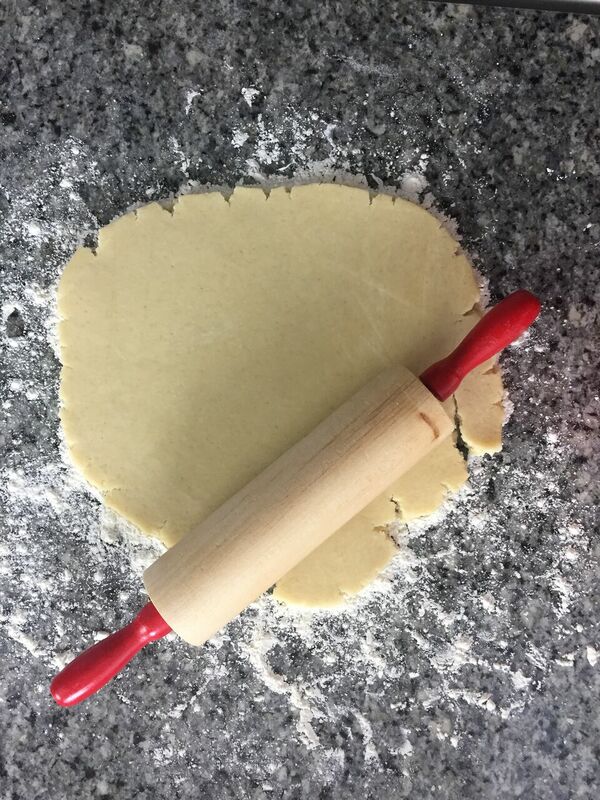 Next, remove the remaining dough from the fridge and roll it out like before. Using a star-shaped cookie cutter, cut about 20 stars. (Or, if you're insane like us, cut them all individually with a paring knife.) Place your finished stars on a baking sheet lined with parchment paper, cover with plastic wrap, and pop back into the fridge. Then, place the blueberries in a large bowl and in a separate bowl, mix together the sugar, corn starch, lemon juice and lemon zest. Add this mixture to the blueberries and toss with a rubber spatula. Pour the blueberry filling into your pie crust. Then, in a small bowl combine an egg yolk and a tablespoon of milk or cream. Remove your stars from the refrigerator and brush them with the egg wash, using any remaining to brush the rim of the crust. Sprinkle the stars with coarse sugar and place them on the pie in a circular pattern. Refrigerate one last time, for about half an hour or so. In the meantime, preheat the oven to 400 degrees. When the pie is ready, place it on a parchment lined baking sheet (blueberry pies have a tendency to bubble over). Place the baking sheet on the lower rack of the oven and bake for 20 minutes. Then, reduce the heat to 350 degrees and continue to bake for about 45 minutes. When done, the crust should be a golden and the juices should be bubbling. Remove from the oven to cool on a wire rack for several hours so the filling will set. Like we said, time-consuming, but SO worth it. Let us know if you give this a try - we'd love to see the results! Be sure to use the hashtag #MOGBLOGBakes so we can check out your pictures! Happy Memorial Day!